Visit the Chiefs' official website for your daily fix of team information. Wide receiver Tyreek Hill reported to the facility as the Kansas City Chiefs open offseason conditioning workouts Monday. A Kansas City Chiefs fan was cited for shining a laser pointer at Patriots quarterback Tom Brady during the AFC Championship Game. The incident took place in the fourth quarter. When asked about his Pro Football Hall of Fame candidacy, former Chiefs running back Jamaal Charles was definitive: He deserves a gold jacket. Chiefs quarterback and Texas Tech alumnus Patrick Mahomes was in attendance for the Red Raiders' win over Michigan State. But his presence proved as important before the game tipped off. Green Bay Packers tight end Marcedes Lewis, a 13-year veteran, offers the highest praise for Kansas City TE Travis Kelce, calling him the best in the game without a doubt. Veterans of the recently deceased Alliance of American Football are starting to trickle back onto NFL rosters. One of the first to re-join the NFL is Keith Reaser, who is signed with the Chiefs. Kansas City Chiefs QB Patrick Mahomes acknowledged an offseason Twitter challenge from Buffalo Bills signal-caller Josh Allen to see who could throw the farthest. Former Redskins and Packers cornerback Bashaud Breeland signed a one-year, incentive-laden deal with a max value of $5 million with the Chiefs, Ian Rapoport reports. The Chiefs parted ways with defensive stalwarts Eric Berry, Justin Houston and Dee Ford this offseason. General manager Brett Veach said those moves were made to circumvent salary cap issues. 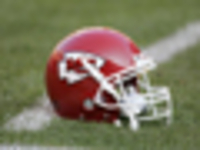 The Kansas City Chiefs released safety Eric Berry on Wednesday, the team announced, ending a long and accolade-filled run for the franchise. An end to an era for Justin Houston in Kansas City. The Chiefs are releasing the outside linebacker after eight seasons, the team confirmed Sunday. 4/15 Harrison Butker (K) Exclusive Rights Signing (exclusive rights signing). 4/15 Jordan Lucas (SS) No Offer Sheet Executed (no offer sheet executed). 4/15 Justin Hamilton (DT) Exclusive Rights Signing (exclusive rights signing). 4/11 Jeremiah Attaochu (LB) Unrestricted Free Agent Signing (unrestricted free agent signing). Chairman and CEO Clark Hunt and the Kansas City Chiefs formally introduced Andy Reid as the 13th head coach in club history on Monday, January 7, 2013. "We are thrilled to welcome Andy to the Chiefs family," Hunt said. "Throughout his career, Andy has established himself as one of the finest coaches in the National Football League. His integrity, knowledge of the game, work ethic and outstanding abilities as a teacher and communicator make him the ideal head coach to lead the Chiefs for many years to come." Reid, who enters his 22nd NFL season in 2013, joins the Chiefs after a 14-year stint as the head coach and executive vice president of football operations for the Philadelphia Eagles. "My family and I are very excited to join the Chiefs organization and the Kansas City community," Reid said. "I want to thank the Hunt family for allowing me the opportunity to lead this storied franchise. The Chiefs have always had a passionate fan base and I'm looking forward to Sundays at Arrowhead Stadium. We've got a lot of work to do to get ready for next season, and we are going to get started immediately." Reid joined Philadelphia as head coach in 1999 and remained in that role through the 2012 season, becoming one of just 11 first-time NFL head coaches to lead 12-or-more seasons with the same club. Reid assumed the additional role of executive vice president of football operations in 2001. Reid boasts a career record of 130-93-1 (.583) in the regular season. He also owns a 10-9 postseason record. His 140 wins in regular season and postseason play rank 22nd in NFL history. Among active head coaches through Week 17 of the 2012 season, Reid ranks fifth in regular season and playoff wins, trailing only Bill Belichick (204), Mike Shanahan (175), Tom Coughlin (163) and Jeff Fisher (154). While compiling his 10-9 postseason record, Reid led the Eagles franchise to one Super Bowl appearance, a game that saw Philadelphia fall by a mere field goal to the New England Patriots following the 2004 season. He has earned NFL Coach of the Year accolades on three occasions. Reid guided Philadelphia to nine playoff appearances (2000, 2001, 2002, 2003, 2004, 2006, 2008, 2009, 2010) during his 14-year tenure in the City of Brotherly Love. During that time period, only Indianapolis (12) and New England (10) had more postseason appearances than the Eagles. Reid's playoff accomplishments as a head coach include six NFC East division titles (2001, 2002, 2003, 2004, 2006, 2010), five NFC Championship Games (2001, 2002, 2003, 2004, 2008) and one Super Bowl berth (XXXIX). When you include his time as an NFL assistant coach, his teams have made the playoffs 15 times (19-14 record), and he has coached in three Super Bowls and eight NFC Championship Games. Among coaches with 200 games under their belt, Reid's winning percentage ranks 13th all-time and second among active coaches behind Belichick. Reid is also one of six active coaches in the NFL to have reached the century mark in wins, joining Belichick, Shanahan, Coughlin, Fisher and John Fox. Most recently, the Eagles captured their sixth NFC East division title under Reid in 2010 as they set franchise records in points scored (439, 3rd in NFL), total net yards (6,230, 2nd in NFL) and yards per rushing attempt (5.4, 1st in NFL). Along the way, Reid played a vital role in the rebirth of QB Michael Vick, who earned Comeback player of the Year honors as well as a Pro Bowl berth. Reid, himself, earned Coach of the Year honors from the Maxwell Football Club. In 2008, Reid became the 37th coach to reach the 100-win plateau, and the 22nd to win 100 games with one franchise. He overcame a 5-5-1 start to reach the NFC Championship game. In 2006, the Eagles lost six of their first 11 games and two of their most explosive players in QB Donovan McNabb and DE Jevon Kearse, but Reid led a season-ending, five-game win streak to capture the NFC East division title. The 2004 Eagles clinched the NFC East title with five games remaining in the regular season and the No. 1 seed in the NFC playoffs after a 13-1 start. Along the way, Reid passed Greasy Neale for the most wins in franchise history as the Eagles earned their first trip to the Super Bowl since 1980. In 2003, Philadelphia overcame an 0-2 start and a slew of injuries to post its second consecutive 12-win season. A year earlier, Reid was the overwhelming choice as the NFL's Coach of the Year as the Eagles thrived without the services of McNabb to still capture home-field advantage in the NFC playoffs. After a 5-11 mark in his first season, Reid led the 2000 Eagles to the greatest turnaround in franchise history, finishing second in the NFC East at 11-5 and earning a trip to the NFC Divisional Playoffs. For his efforts, Reid was named the NFL's Coach of the Year by the Maxwell Football Club, The Sporting News, and Football Digest. Coming off being one of the longest-tenured and most successful coaches in all of professional sports, Reid utilizes a passionate, yet workmanlike approach as an NFL head coach. A former offensive lineman at Brigham Young University, Reid still lives and works with the humble principles he learned during his time in the trenches. His vision, dedication and organizational skills have been cited as paramount attributes to his sustained success in the National Football League. Throughout his time in the NFL, Reid has continuously evaluated what is best for the game of football, serving on the NFL Competition Committee's Coaches Subcommittee. The subcommittee is instrumental in providing feedback to the NFL Competition Committee for potential rule changes and ways to improve the game. "I am a huge fan of Coach Reid," NFL Commissioner Roger Goodell said. "He is a person I have tremendous respect for as a coach and family man. Andy has been very helpful to me as Commissioner. He has tremendous insight into our game, and we are fortunate to have him in the NFL." Reid was originally introduced as the head coach of the Philadelphia Eagles on Jan. 11, 1999, after spending seven seasons as an assistant coach with the Green Bay Packers under Head Coach Mike Holmgren. During his seven years with the Packers, Reid served as the tight ends coach and assistant offensive line coach (1992-96) and as quarterbacks coach (1997-98). In his span with the Packers, the team reached the playoffs six times and represented the NFC twice in back-to-back Super Bowls, defeating New England in Super Bowl XXXI and falling to Denver in Super Bowl XXXII. During his two-year stint as quarterbacks coach, Reid worked with Packers quarterback Brett Favre. While tutoring Favre, Reid and the Packers won their second straight NFC title and Favre garnered league MVP honors for the third consecutive season. In his first NFL coaching role, Reid oversaw the tight ends while assisting Offensive Line Coach Tom Lovat. Under Reid's watchful eye, tight ends Mark Chmura and Keith Jackson earned trips to the Pro Bowl as part of the NFC roster. Prior to joining the NFL ranks, Reid's final collegiate stop was also in the Show-Me State as he coached the offensive line at the University of Missouri (1989-91). Prior to his stint with the Tigers, Reid spent two years working with the offensive line at the University of Texas -- El Paso, and before that, he held the same position with Northern Arizona. In 1983, Reid took the position of offensive coordinator and offensive line coach at San Francisco State, helping the Gators lead the nation in passing and total offense for three consecutive years (1983-85). A tackle and guard at Brigham Young University from 1979-81, Reid entered the coaching ranks as a graduate assistant at BYU under Head Coach LaVell Edwards in 1982. It was in that time at BYU that Reid began his association with Holmgren, who served as the quarterbacks coach for the Cougars. While at BYU, Reid earned both a bachelor's degree in physical education and a master's degree in professional leadership in physical education and athletics. While playing for the Cougars, Reid was also a columnist for the Provo Daily Herald. A native of Los Angeles, Reid prepped at John Marshall High School in Los Angeles and went on to go to Glendale (Calif.) Junior College before attending BYU. In 2012, Reid was inducted into the Marshall High School Athletic Hall of Fame and was named to the Glendale Junior College Hall of Fame in 2003. Born Andrew Walter Reid on March 19, 1958 in Los Angeles, he and his wife, Tammy, have five children, sons Spencer, Britt and the late Garrett, and daughters Drew Ann and Crosby.